I am not a big fan of strawberries because I have low tolerance for sour fruits. Oftentimes I would just observe how Iris enjoys them while trying to imagine NOT having that sour taste in my mouth. My office mate, Tony, commented that strawberries nowadays are not how they used to be. Modern day strawberries tend to be larger as that is how the market wants them, but not necessarily sweeter than the heritage breeds. From then onwards, I try to look for smaller strawberries, maybe visibly less attractive, but I hope with greater sweetness in them. Found the smaller variety once at Queen Victoria Market but the taste was disappointing. So I stopped searching for ‘sweet’ strawberries. This evening I went to Coles with Iris. The trip was initially for a hair cut at the salon nearby but the hairdresser was pretty occupied. I have to go back tomorrow morning.Anyway, we stepped into Coles to get some veggies and Iris asked for the strawberries. Funny how a shortie like her can spot something so high up. Got a box for her brain food for school tomorrow. As usual, she wanted a taste of them and out of curiosity, I tasted one. Oh, I couldn’t believe my tastebuds! It was sweet, perhaps the sweetest that I have ever tasted! It was yum!! 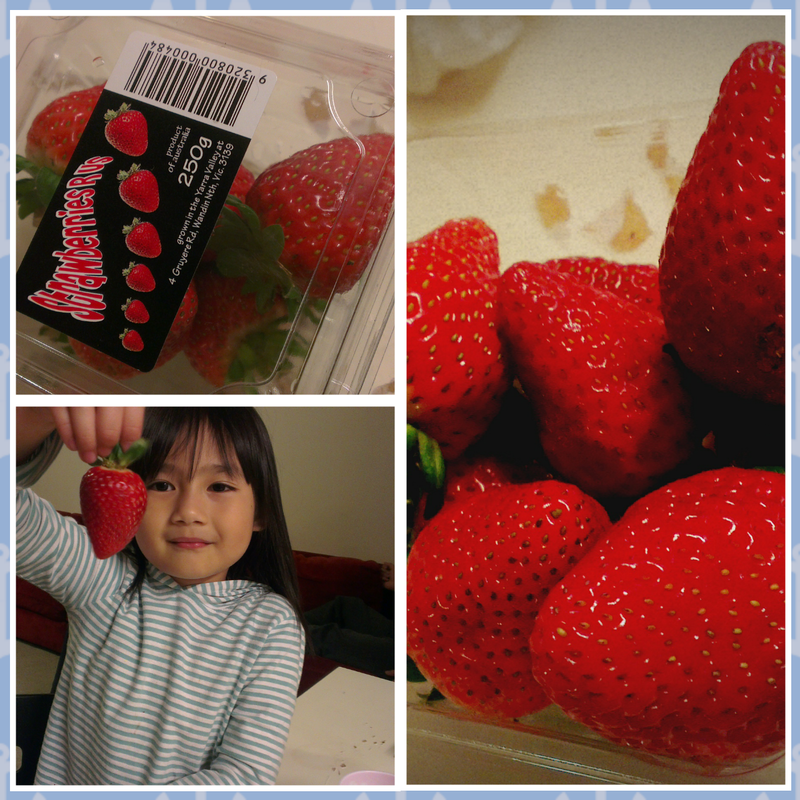 Here’s some images of the yummy strawberries, just in case you want to have a go at them too.